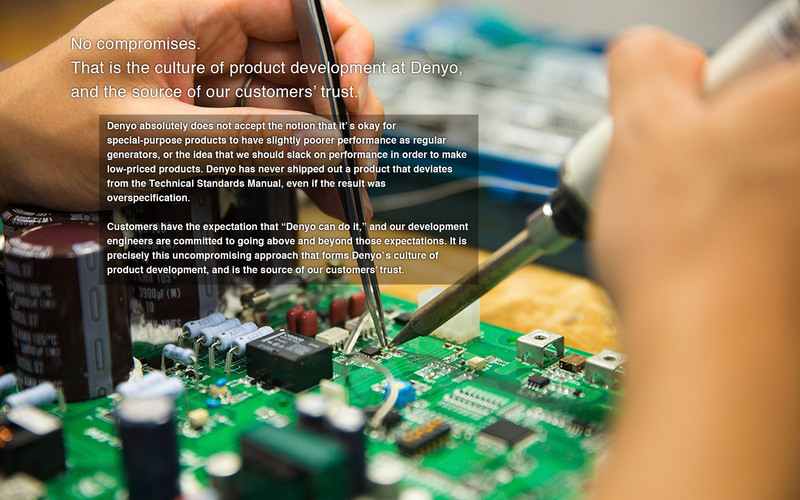 [A strictly uncompromising approach] | Denyo Co., Ltd. 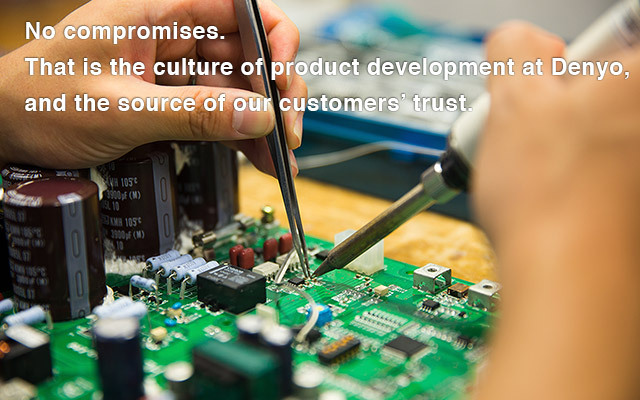 In the words of a director who has been involved in product development as a Denyo engineer for over 30 years, “The evolution of Denyo products has been helped by requests from customers who say, ‘I’d like you to achieve this kind of performance.’ But we weren’t satisfied just with doing that. 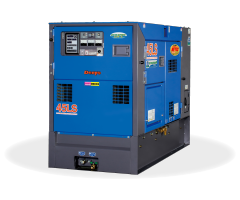 Our development engineers believe ‘we can do more,’ and this commitment has consistently generated products that go beyond customer demands.” In addition to power and durability, generators are required to have a range of performance features depending on their use. 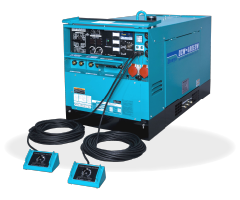 On construction and other worksites, multiple generator units are used together to adjust the amount of power generated as necessary. To do that, software technology is needed to coordinate the generators accurately in order to consistently produce a stable supply of electricity. 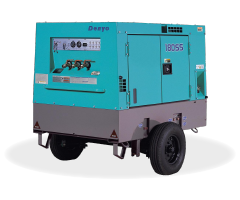 Denyo absolutely does not accept the notion that it’s okay for special-purpose products to have slightly poorer performance as regular generators, or the idea that we should slack on performance in order to make low-priced products. 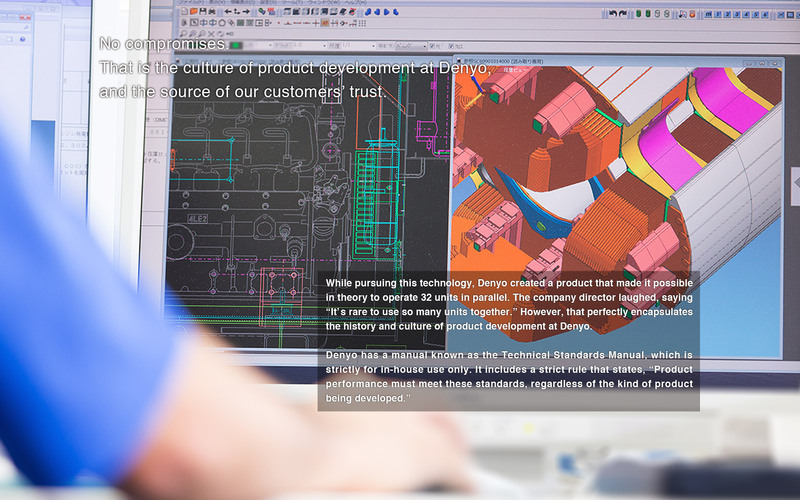 Denyo has never shipped out a product that deviates from the Technical Standards Manual, even if the result was overspecification. 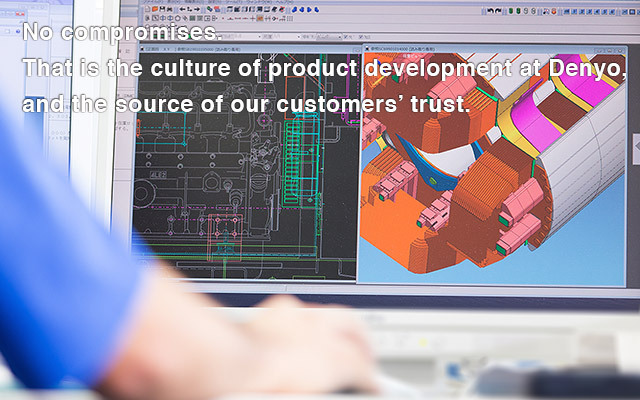 Customers have the expectation that “Denyo can do it,” and our development engineers are committed to going above and beyond those expectations. 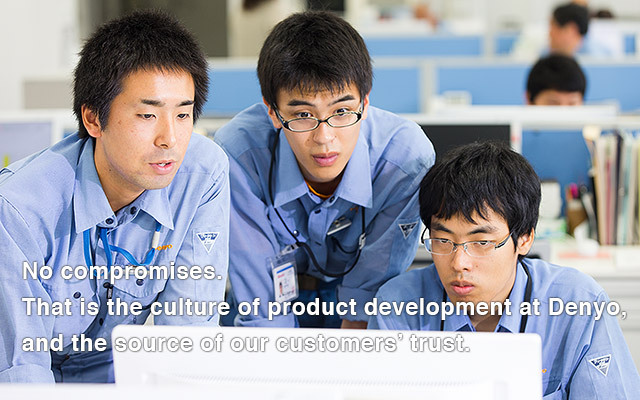 It is precisely this uncompromising approach that forms Denyo’s culture of product development, and is the source of our customers’ trust.